Raise a Green Dog! 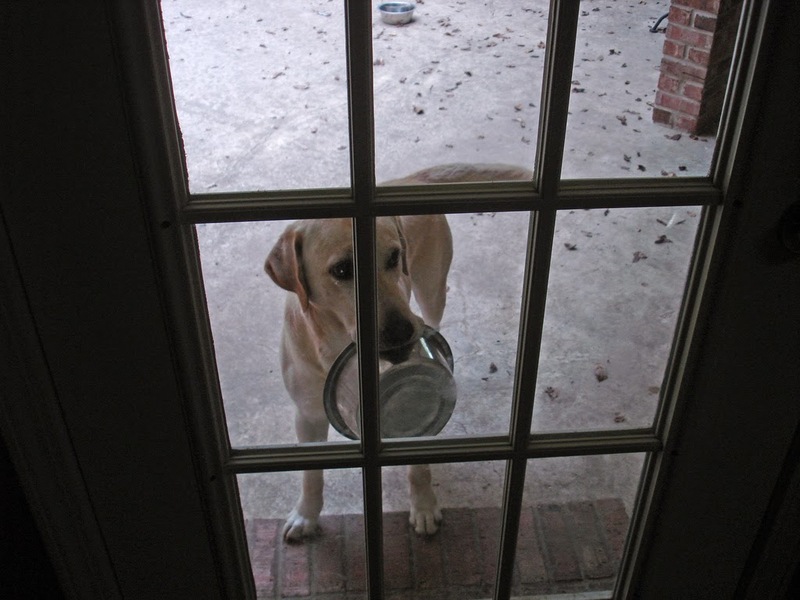 : Is your dog bowl safe? Is your dog bowl safe? There are a wide variety of dog bowls on the market - plastic ones, slow down eating ones, silicon ones, stainless steel ones, ceramic ones, stoneware ones, and yes, even paper ones and ones made of sugar cane. But how do you know if your dog bowl is safe? One reason is that plastics scratch and those little crevices can harbor unhealthy bacteria, that even a good safe cleaning can't deter. In addition, there are many reports in the news that plastics can emit chemicals like Bisphenal A, or BPA. Every few years, articles regarding the safety of plastics hit the news headlines – most recently in the form of reports of a chemical found in baby and sports bottles: Bisphenal A, or BPA. What is BPA? The EWG says, "bisphenol a (BPA), a synthetic estrogen used to harden polycarbonate plastics and epoxy resin, is the focus of a growing number of research studies and legislative actions, reflecting mounting scientific evidence that it causes serious and sometimes irreversible damage to health, even at the low doses to which people are routinely exposed." The Environmental Working Group also goes on to say..."in laboratory tests, trace BPA exposure has been shown to disrupt the endocrine system and trigger a wide variety of disorders, including chromosomal and reproductive system abnormalities, impaired brain and neurological functions, cancer, cardiovascular system damage, adult-onset diabetes, early puberty, obesity and resistance to chemotherapy." So if they are having this kind of effect on humans, imagine what they are doing to our little dog bodies! Plastics can also emit dangerous Phthalates, according to the EWG. "These chemicals, called “plasticizers,” are a group of industrial chemicals used to make plastics like polyvinyl chloride (PVC) more flexible or resilient and also as solvents. Phthalates are nearly ubiquitous in modern society, found in, among other things, toys, food packaging, hoses, raincoats, shower curtains, vinyl flooring, wall coverings, lubricants, adhesives, detergents, nail polish, hair spray and shampoo." 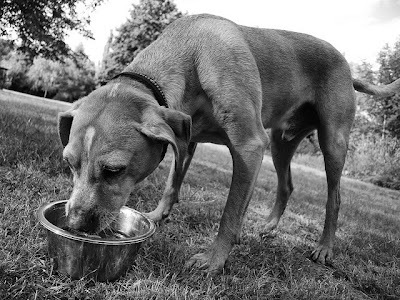 In addition, HealthyStuff.org, an organization who tests many pet products for levels of lead, chlorine, arsenic and more, indicates that even though some plastic pet bowls may be BPA free and certified as FDA food safe, some may contain medium levels of lead. And these chemicals can leach from plastic containers into your dog's food, potentially exposing them to dangerous chemicals with harmful side affects. There are some safe food plastics, and generally speaking most human plastics containers can be identified by their recycling codes that can help you find the safe ones. But the pet industry is slow to add this helpful id tool to pet products, so we are left not knowing what plastic pet dish is safe and which is not, or taking the word of the manufacturer. Yes, there are some safe plastic bowls, but how do you know for sure, without having them tested in a trusted lab? According to HealthyStuff.org some stoneware pet bowls may contain medium levels of dangerous lead that could be harmful to your dog. In 1973, the U.S. Environmental Protection Agency began phasing out leaded gasoline, a process that was to drag on until 1996. Lead was banned in household paint in 1978. As a result, according to the National Institute of Environmental Health Sciences, lead levels in the blood of American children have dropped by 86 percent since the late 1970s." The EWG says..."the insidious symptoms of slow lead poisoning -- impaired intellect, memory loss, mood swings, infertility, nerve, joint and muscle disorders, cardiovascular, skeletal, kidney and renal problems and possibly cancer -- were not fully recognized until the late 20th century. Some manufacturers tout their stoneware bowls as lead free. But, while HealthStuff.org is sharing a lot of research about stoneware pet bowls, they have yet to test every bowl on the market. So why potentially expose your dog to such a dangerous chemical? Lately we've been seeing several silicone based pet food bowls hit the market. While they are deemed made of FDA approved food based silicone, we are with the the 'jury is still out,' pack on this new method of feeding. According to Wikipedia, silicones are largely-inert, man-made compounds with a wide variety of forms and uses. Typically heat-resistant, nonstick, and rubber-like, they are commonly used in cookware, medical applications, sealants, adhesives, lubricants, insulation, and breast implants. Many ceramic dog bowls can be a good choice if you do your homework and select carefully. Some glazes used to coat the dog bowl could contain lead and other chemicals. So if you decide to use a ceramic bowl make certain it is intended for food use and that it is coated with a lead free glaze. And also be certain to check the bowl often for little cracks in the glaze, that can not only harbor bacteria, but can also potentially be ingested if cracked or chipped. Many disposable pet bowls made of sugar cane and corn are hitting the market. Patterned after human disposable paper plates and made from sugar cane or corn, these pet bowls are touted as being very eco-friendly and green, as well as safe for dogs. Many say after several uses, you can put them into your compost pile to biodegrade, which would cut down on added waste to landfills, and the inability to actually biodegrade when buried under all that trash at the landfill. 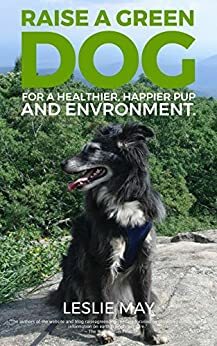 Since sugar cane and corn in very low ingestion levels is not toxic or dangerous for dogs, we feel these dishes would be a nice emergency or travel option for dogs. We would keep a watchful eye on my sis, Gracie, however, since she would perhaps be apt to eat something like a bowl made of sugar cane...she's like that you know :) And we know that anything like this in large proportions wouldn't be good for her intestinal tract. Over many years, stainless steel has be proven to be the safest material for making and storing foods. It is durable, sanitary, rust-free, and non-leaching. And the best part is that they can last a lifetime, and save you money! In their tips to avoid certain chemical exposure, the EWG recommends in many instances to replace non-safe plastics with stainless steel. So what's a dog to do? We recommend going stainless steel. It is widely believed to be one of the safest dog food and water dispensing bowls. It's what we use for all our meals and water, whether at home or on the road, for us pups and our kittie bros.
You can purchase many sizes and types of stainless steel dog bowls, including slow down eating and non-skid, small or gigantic! Properly cared for stainless steel pet bowls won't harbor dangerous bacteria, and they don't emit dangerous chemicals. Be sure to clean your stainless steel bowl after every use to ward off potential illness from bacteria, and don't clean it with any abrasive material like steel wool. Just use a safe eco-friendly dish soap and hot water, or better yet, do what we do, clean with a nice mixture of vinegar and water. 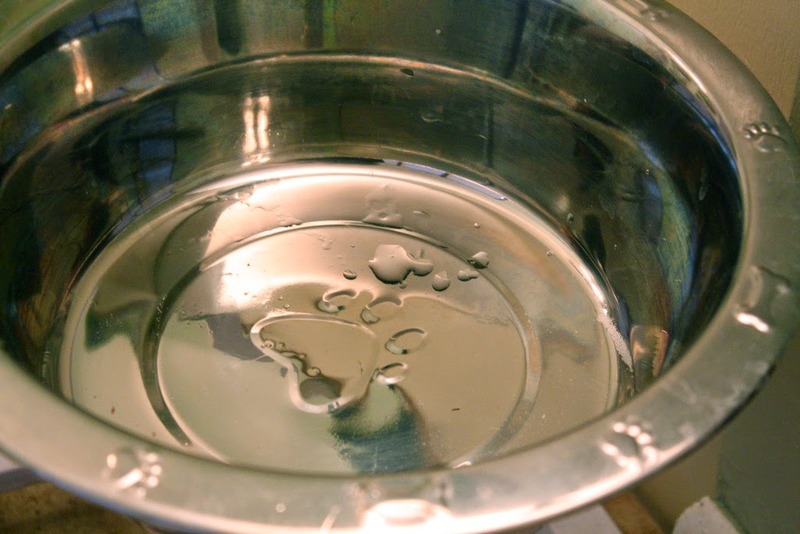 Update: Please be sure to inquire at your pet store if your stainless steel pet bowls are radioactive and lead free, as reports have been made that some stainless steel pet bowls may contain low levels of lead and radiation. See more information below to learn more. Oh, and watch what you store your pets food in as well! There are many, many pet storage containers made of plastic, but we are happy to see stainless steel and jute pet food storage containers hitting the market as well. Watch for resource links in our next post. Update: 7-1-2012 - On July 30th, 2012, stainless steel pet bowls sold in several Petco stores in the Chicago area were found to be radioactive and taken off the shelves. Read our updated post to learn more about these bowls, how they may have become radioactive and how you may be able to purchase stainless steel bowls that are safer. MiasHigazi, Fuzzy Gerdes and Anne Hornyak. Very informative blog. I like the stainless steel bowl idea. I get tired of replacing the 'chewable' dog dishes. "Doc" won't like his new bowl. Ha, Ha, too bad--but I will. Definitely, only stainless! Would never use anything else. We slightly heat our dogs food in the microwave (since it's kept in the fridge) and can't use stainless steel. I hate microwaving any plastic. Can anyone recommend a ceramic or crockery bowl brand or line that would be safe? Hi Deanna - Leslie and Johann here from Raise a Green Dog. While we completely understand the convenience factor of microwave ovens, we have read a lot of research that outlines that microwaving food can actually destroy the valuable nutrients in foods. Our recommendation would be to quickly and slightly heat your dogs food on the stove, just to room temperature, so that it can more easily be digested. And it will provide all the standing nutrients that the food original intended. Yeah, Stainless steel is definitely the way to go and it looks better for longer. Thank you so much for this great informative article. Stainless steel is definitely the way to go. There are so many options out there s the more that we can educate together...the better off our little canine companions will be. Very informative article! It is shocking how harmful a plastic bowl can be. Time to get a stainless steel one. Thanks for the research! Blitzkrieg had a stoneware bowl. We accidentally broke it and replaced it with a ceramic dog food bowl. I can't confirm if there was lead in the glaze, but I suspect there is. Blitzkrieg's eye clouded over and he was having vision problems. Since he only has one eye - this is even more disturbing! I started using the regular ceramic food bowls we human's use for Blitzkrieg's food. His eye cleared and his vision is back to normal. I love the stainless steel bowls. I bought one from www.snoopyspets.com that has two bowls in one. They have a hard resin plastic outside with stainless steel bowls on the inside for easy cleaning. They are great. I shared this article with my clients on my fan page and twitter acct...thanks for the great article..
We use Pyrex glass bowls. Any thoughts on those? Great article! I will be sharing! Hi Bicycle, thanks for barking by! While generally speaking we understand that Pyrex is safe and non-leaching, we do have a few concerns that would prevent us from using it. It can chip, being glassware, and if exposed to extreme heat and cold can become a little more unstable and have more potential to chip or crack. Glassware is safe, but we like durable too, which is why we think stainless steel is the overall best choice. To choose the right size, consider that dogs drink approximately up to 25 ml per pound per day. That comes out to be a little less than an ounce per pound. So if you have a 10 pound dog, make sure your bowl holds at least 10 ounces. Great research on the different types of dog dishes. I noticed there was no glass option. But I think I am going to switch back to a metal dish. I do see how it would be the safest. Also I notice that most people don't clean out their dogs dish every day. I don't understand this. Just a thought I needed to say. My father has always warned me to avoid using a stainless steel bowl because it can gradually reduce the dog's sense of smell. Does anyone know of any research on this topic or is this just an old wives tale? I recently bought a PetCO brand stainless steel dog bowl but noticed a WARNING on the sticker "NOT for human use. For pet use only." Yikes! I don't like that. Any other brand recommendations for bowls that are safer? Hi Gina, I don't like that either! Our suggestion would be to return the bowl for a full refund, and go on a search for a healthier bowl. Second look for a SS bowl that is of heavy gauge (22 if possible) or has a series indicated at 300 or so. These numbers are indicators of higher quality stainless steel. Find out the manufacturer of the potential bowl you are interested and call them to see if they have been tested for lead/radioactivity. And that they are safe for human use. A good quality company will have that information and freely share it with you. If not, time to move on. Good quality SS products will have information stamped on the bottom that provides information, i.e., made in USA, gauge, etc. Great article. My dog won't eat out of a stainless steel bowl. I am using some bamboo bowls, but those weren't discussed. Ahh, yes, bamboo! A good alternative source if stainless steel isn't a option for your dog. Just like anything however, I would see if you can find out from the company if they are made in the US with materials grown without the use of chemicals in the US. I just worry about pesticides, insecticides, herbicides and potential additives leaching if made in the US where they may use them, or China or other countries where it may be difficult to find out. Just a thought. But yes, a very sustainable option! Good for you! I use whatever "cute" dog dishes I want and put a "human" stainless steel bowl in it like a liner. SS mixing bowls come in all sizes and some places have restaurant supplies that sell to the public. I pop the bowls in the dishwasher every night with dinner dishes to keep them clean. No fuss! So what is the brand you recommend for safe Stainless Steel pet bowls? I see your criteria, but surely you have a brand you researched and trust. Which brand is that? They meet all the criteria I explained in my reply to Gina's comment (just above about three comments). They also say that they test their bowls for heavy metals, but I didn't see that they test for radioactivity (which would require a Geiger Counter). But you could call them and ask, it's a fair question. Good luck! And let us know if we can help further. Thanks for the brand reco! I couldn't find one made in the USA. I was in love with you for this article..YOU HAD ME. You confirmed what I was thinking I was all set to go with the stainless…then you said this ..Update: Please be sure to inquire at your pet store if your stainless steel pet bowls are radioactive and lead free, as reports have been made that some stainless steel pet bowls may contain low levels of lead and radiation. Who at the petstore do you think is gonna know this? I mean really KNOW THIS? They most probably think everything on their shelfs would be safe…INCLUDE some studies and some brands to choose from …NOW THAT WOULD BE HELPFUL. Good, reputable pet stores should know if their pet bowls are safe and be able to answer your questions. If not...we recommend searching elsewhere. You can view the previous comments for recommendations. My son's puppy had a cornstarch and bamboo bowl, and he ate it. Yes, we are, of course! Hi, I have one of those automatic dog feeders which has a form fitted bowl that happens to be plastic. The round bowl is approximately 8" wide & 2 1/2" deep. Any suggestions please? See if you can find out from the company if the feeder plastic is BPA free. That would help. If it were me? I may see if I can insert a bowl that's high grade stainless steel in the plastic area to keep the food from contact with the plastic. My sister bought cute dog dishes that look stainless however the water dish started to erode a bit. My dog has been having oral mucus and abdominal issues for a while and just this morning looked down at the dish, and had this aha that maybe she has some kind of toxicity. I changed out the bowl immediately. I have several bamboo dishes which I put in the dish washer every time I give him clean water. Periodically I also change his food dish for a clean one. One did leak but I found it had a crack which probably came out of the factory that way. Does anyone know if bamboo is safe? Shirley Hansen. Ahh, yes, bamboo! Just like anything however, I would see if you can find out from the company if they are made in the US with materials grown without the use of chemicals. I just worry about pesticides, insecticides, herbicides and potential additives leaching if made in the US where they may use them, or China or other countries where it may be difficult to find out. Just a thought. But yes, a very sustainable option! I am reading this because of concern for my CATS. I feed them in dishes that came from Marie Callender's frozen dinners. On disability, we can't be real choosy about the dishes we use I don't desire to do anything that might be potentially harmful to our beautiful cats.. I couldn't find any research on what those frozen dinner plates are made of, but you may want to use just plain old coffee cup saucers from your dishes. That's what we use for our kitties. We currently have stainless for our dog and she doesn't have a problem eating out of them but she won't drink due to the shiny reflective nature of the dishes. Is there a safe way to coat her bowls so she will drink? Hmmm....interesting! You may want to try another safe (listed above) type of bowl for drinking and see if that helps. What do you store your pets food in? I have a plastic Container but keep it in the dog food bag inside the container. Any recommendations? I am trying to change everything but they market so much. It's so hard to know whats right. I bought it from sams club. Convenient container holds the scoop at the top opens up but I'm sure it's un safe. I have an occasional mouse where I live so I don't want them to eat the dog food. Help please. We have dog food storage containers that are BPA and phthalate free, which is key when using plastics for food storage. Or you could look into stainless steel. hmm im going to have to check mine when I get home. I might have taken the sticker off of it. I know i got it from sams club a couple years ago. its very convenient. but if it doesnt say so on the container i will purchase a new one. Check and see if you can contact the manufacturer to ask. May help....luck! My dogs SS water bowl gets buildup of something whiteish from the water that I can't wash off - is this harmful? I don't know for certain, but it sounds like a build up of mineral deposits from the water (somewhat like what happens with your shower head, if that makes sense). My suggestion is to wash the bowl with a 50/50 mix of water and vinegar, rinse well and see if that takes care of it. We do this every day before refilling.